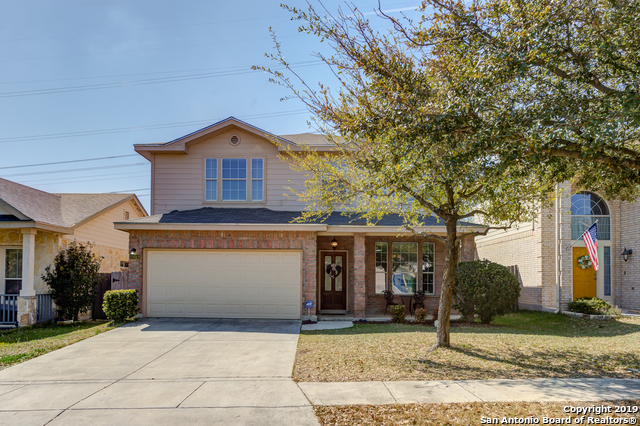 All ARBOR AT SONOMA RANCH homes currently listed for sale in Helotes as of 04/20/2019 are shown below. You can change the search criteria at any time by pressing the 'Change Search' button below. "Super open lower level~High ceilings/ ceiling fans~Large kitchen loaded with lots of cabinets~ Breakfast area i~Family room has recent Vinyl wood plank flooring~View to back back is all the way across the main level~Huge master bedroom upstairs with a 15x12 walk in closet and blt in dresser with drawers~ Great loft/play room for kiddos or teenagers!!! Tract lighting in Living/Family ...walk in utility/Laundry together." "WOW GRAND ZARS POOL WITH WATERFALL AND STONEWORK IN LARGE BACK YARD WITH DECK AND COVERED PATIO. WOOD FLOORS IN FAMILY AND KITCHEN AREAS WITH UPDATED KITCHEN WITH REFINISHED CABINETS, TILE BACKSPLASH AND MORE. SPACIOUS MASTER SUITE UPSTAIRS COMPLETE WITH EN SUITE FULL BATH AND GENEROUS CLOSET. GAMEROOM UPSTAIRS AND 2 MORE BEDROOMS. FRESHLY PAINTED WITH UPDATED LIGHTING THROUGHOUT!" "Welcome home! This beautiful home is in the highly desired community of Arbor at Sonoma Ranch in Helotes. This renovated home features an open floor plan, updated appliances, beautiful crown molding throughout downstairs. Upstairs a master suit with a large walk in closet, 2 spacious secondary bedrooms and a large flex space ideal for a 4th bedroom, media room, or playroom. The highlight is the large backyard nestled amongst mature trees and a covered patio ideal for entertaining. OPEN HOUSE Fri"
"Welcome Home! This cozy, 3 bedroom 2 and a half bath home won't last long! 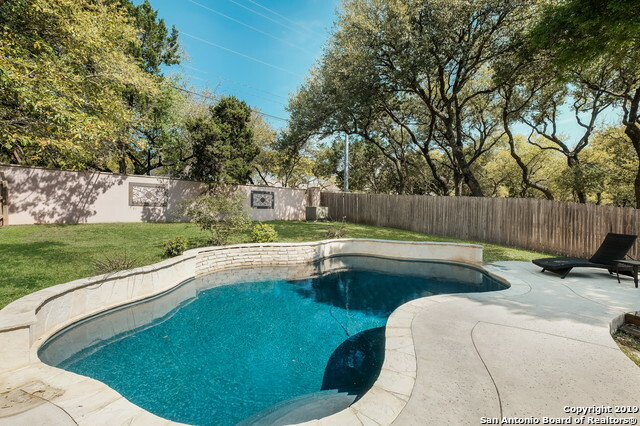 Nestled in Helotes, this home boasts an open floor plan, walk in closets, a beautiful big yard perfect for children to run around in and to entertain barbecues! Relax in the master bathrooms garden tub after a long day at work! Enjoy the convenience of 1604 being at your fingertips! 4 minute drive to the HEB Plus on Bandera and 1604 and 4 minute drive to the Walmart in Helotes! Close to shopping and restaurants!"